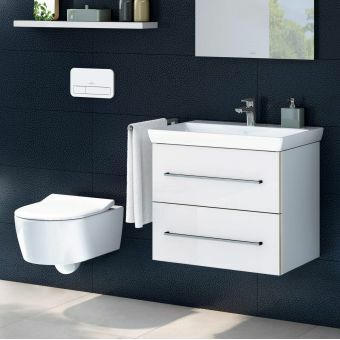 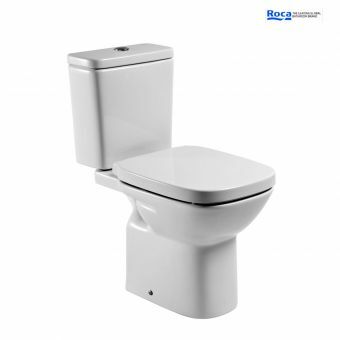 The perfect solution for contractors, designers or anyone wanting to create a small bathroom in a weekend, the Roca Debba Eco Toilet and Basin Suite is unsurpassed for quality and innovation. 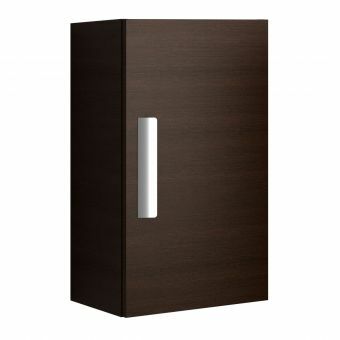 Supplied in two boxes for easy transportation, everything you need is included. 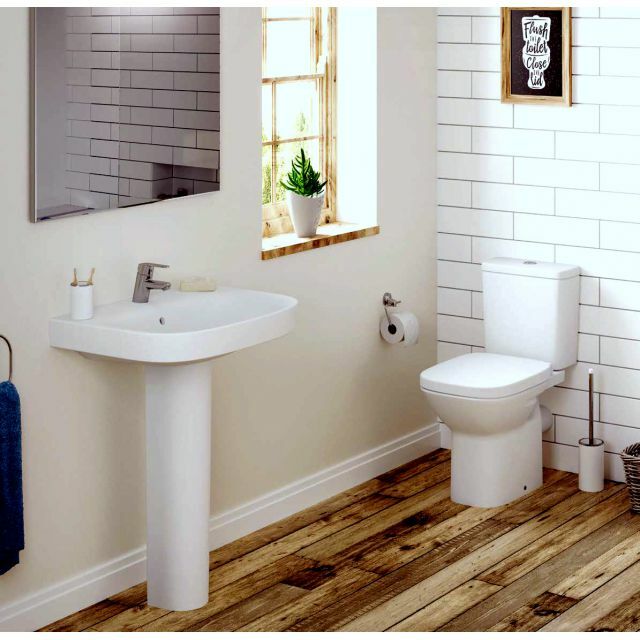 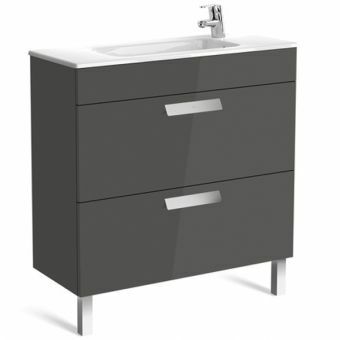 The popular Debba range features soft curves and gentle contours that are easy on the eye. 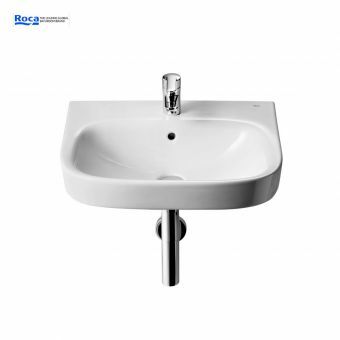 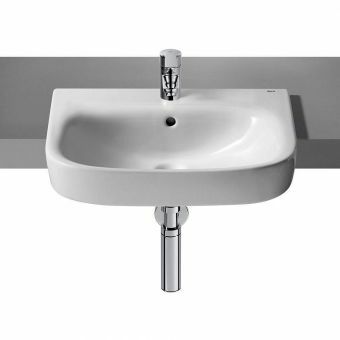 The basin is 550mm wide giving ample washing room and with a single central tap hole, you can fit a tap of your own choice or take advantage of the delightful Victoria V2 tap shown in our photos and offered here at a discounted price. A slim white pedestal is also included here and serves to hide unsightly pipework from view adding to the uncomplicated lines of this suite. 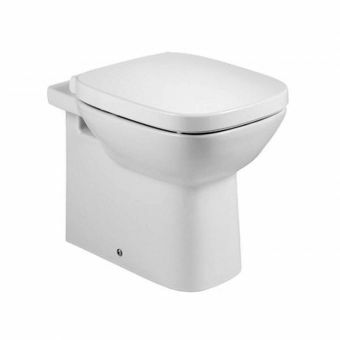 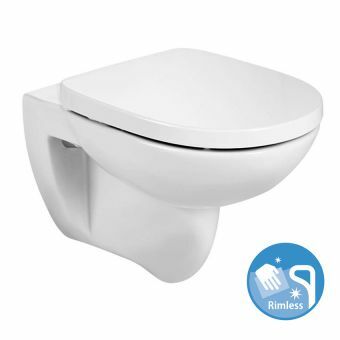 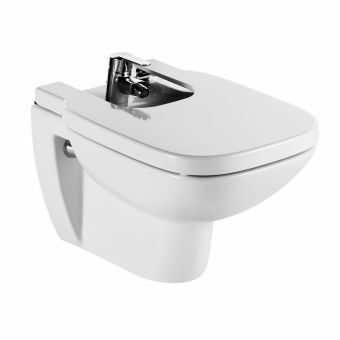 The Debba Eco toilet has a subtle beauty that offers great functionality but with the dual flush cistern having a lower than normal water usage, it will help the environment and save you money in the long run. 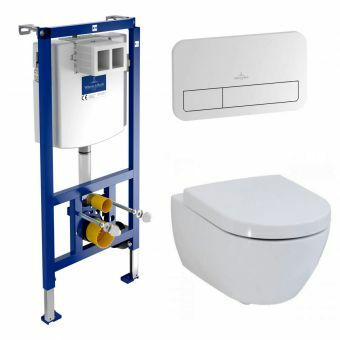 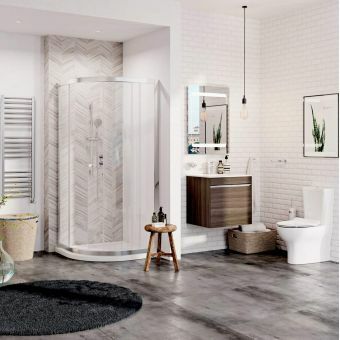 It comes fitted with a soft closing seat and cover adding a touch of luxury to the set and with an open back pan, access to pipework is instant should servicing be required. 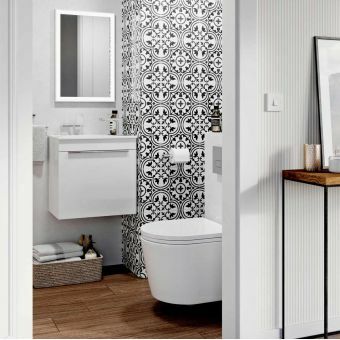 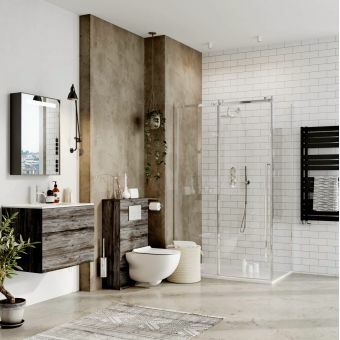 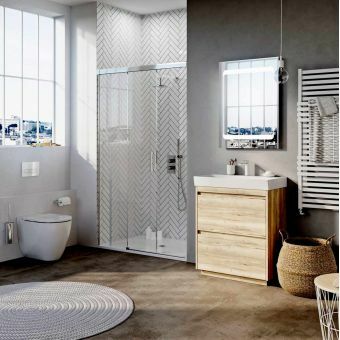 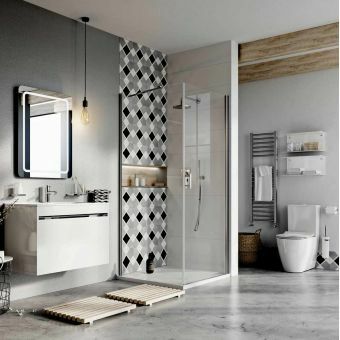 Save time and money by choosing this bathroom in a box. 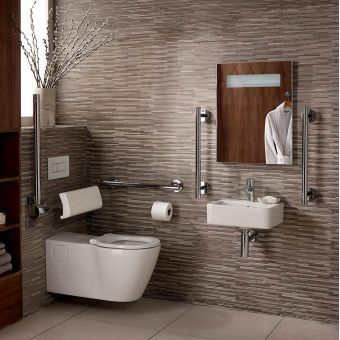 Style and quality are guaranteed.